Like the idea of Speaker Rand Paul? So does Rep. Curt Clawson, a Florida Republican congressman who voted to make him speaker of the House today. Twenty-three other Republicans joined Clawson in voting for someone other than Boehner to be the next speaker of the House. One Republican, Rep. Brian Babin of Texas, voted present. The insurgent Republicans weren’t successful—little surprise there—but their showing was more impressive than expected. In 2013, 12 Republicans voted against his re-election. The fact that their numbers doubled means Boehner will probably have the same struggles corralling his caucus in the new 114th Congress that he had in the 113th. Rep. Daniel Webster, a Florida Republican who served as the state’s speaker of the House, led the pack with 12 votes. (He also voted for himself.) Despite multiple media appearances and a website boosting his candidacy, Rep. Louie Gohmert only garnered three votes (Rep. Randy Weber of Texas, Rep. Jim Bridenstine of Oklahoma, and himself). Individual Republicans also voted for current Majority Leader Kevin McCarthy, Alabama Sen. Jeff Sessions, and South Carolina firebrand (and chair of the special committee on Benghazi) Rep. Trey Gowdy. Three freshman Republicans who signed a pledge promising to vote against the House leadership—Reps. Barry Laudermilk of Georgia, Alex Mooney of West Virginia, and John Ratcliffe of Texas—needed only one vote to break that pledge. 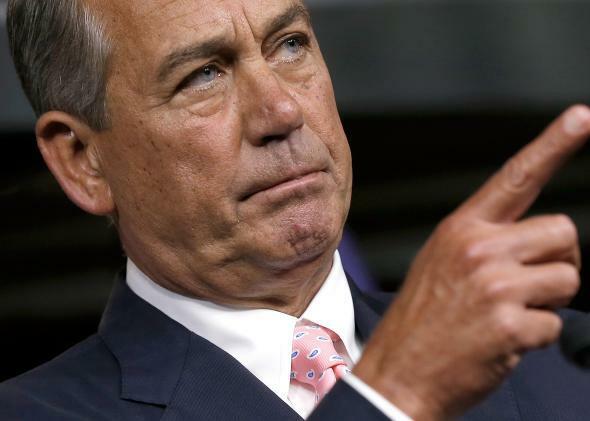 Like most House Republicans, they support Boehner.